334 pages | 2 B/W Illus. The European Neighbourhood Policy (ENP) has evolved into one of the European Union's major foreign policy instruments and received considerable attention. However, other EU neighbourhood policies, and their relevance for the ENP, also require examination. The Arab uprisings, civil wars in Libya and Syria, the continuing Israeli-Palestinian conflict, the crisis in Ukraine and Russia's annexation of the Crimean peninsula have all brought the institutional design and tools of the ENP into question and a comparative perspective is crucial to understand EU neighbourhood policies in a wider sense. 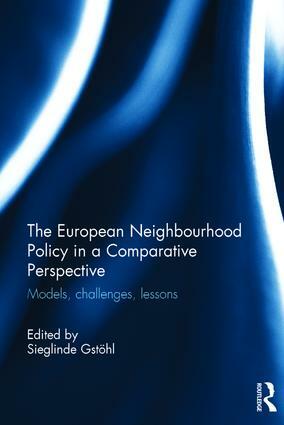 This timely book puts the ENP into context by exploring the major challenges and key lessons of the EU's other policy frameworks with neighbouring countries. Mapping the EU's bi-lateral and multilateral neighbourhood relations in comparison to the ENP and investigating the major challenges faced, it provides a comprehensive, up-to-date view of the EU's relations with its neighbours. Focusing on current affairs and future challenges, the comparison with the ENP and the lessons to be drawn, generate novel insights into the EU's closest external relations. This book will be of key interest to students and scholars studying European Politics, policies and comparative politics. 2. Mapping the European Union’s Neighbourhood Relations: The European Economic Area as a ‘Prototype’ for the Integration of EU Neighbours? 3. Differentiated Integration in the European Economic Area: What Lessons Can Be Drawn for the European Neighbourhood Policy? 4. Who Can Join the European Economic Area? 7. EU-Turkey Relations: Customs Union and More… or Less? 8. Switzerland’s Bilateral Approach to European Integration: A Model for Ukraine? 9. EU-Russia Relations in the Wider Europe: From Strategic Partner to Major Competitor? Sieglinde Gstöhl is Director of Studies and Professor at the College of Europe in Bruges, Belgium.